Colorful Twister USB Flash Memory - The rotating plastic frame protects the USB plug by eliminating the need of a lid. Also, a rotating twister USB Flash Drive allows logo printing on both sides of the cover. Promotional and Easy-to-carry! 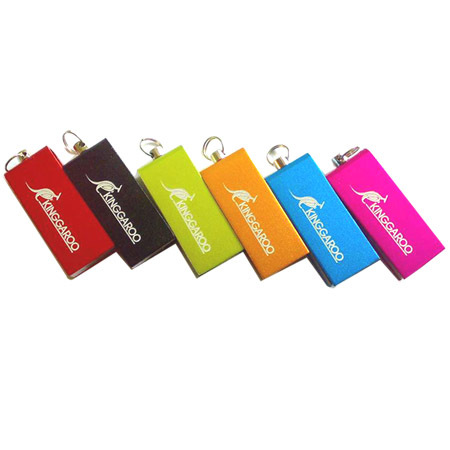 The plastic plug of the USB Flash Drive is available for many different color, and able to assist your promotion in different theme with different promotional effect. The list price is for reference only. Due to the nature of the memory chip market, prices can fluctuate quite dramatically. In order to obtain the best prices please contact our sales team.